WMTW - Steve Minich, "Made in Maine"
I am a self-taught sculptor who works primarily in wood. 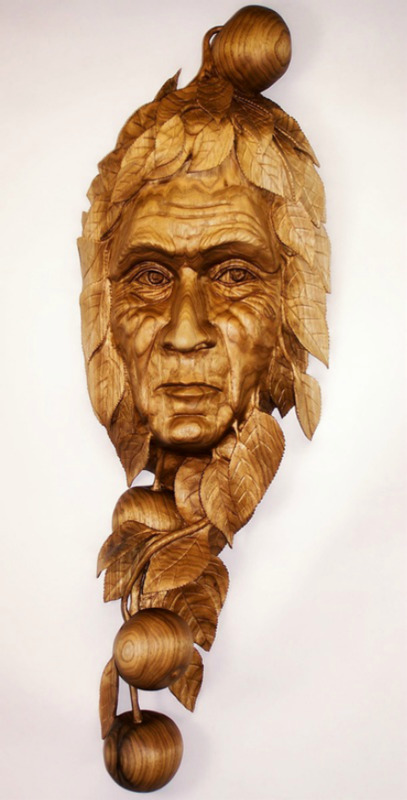 I grew up in Saco, Maine and been carving for over thirty-seven years. As a subtractive sculptor, I take away from a single block with hand tools, often leaving tool marks behind as a sort of fingerprint. My preferences of wood are apple, cherry, butternut and walnut. These are hardwoods with very distinctive grains and colors. I also work in marble, soapstone, alabaster, pumpkin, ice and snow. My style is a fusion of realism and neo-classicalism. This enables the viewer to recognize the subject matter and at the same time allows me the freedom of self-expression. The goal of each piece is to show motion in the subject matter. Whether it be a puffin standing on a rock, with its head turned ninety degrees, inquisitively looking at something that just startled it or a falcon, half a second from flight. The sculpture's emotion allows the viewer to recognize a bit of humanity in the subject portrayed.